Hello! It's Nicole Watson back with Donna Downey's 2018 Artist Gang! 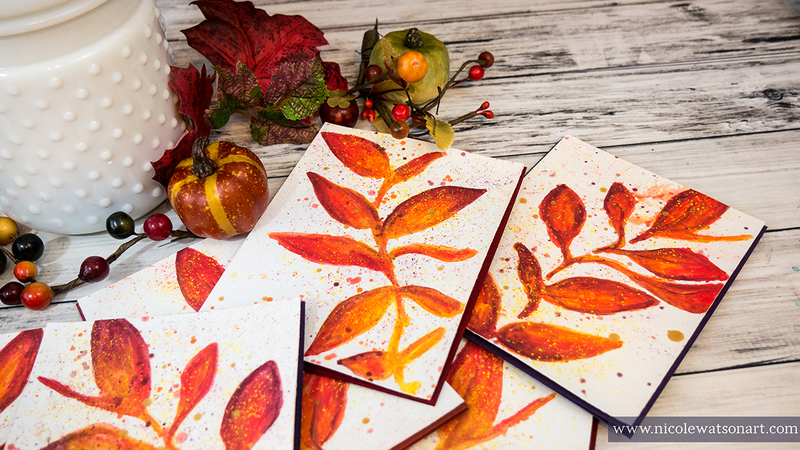 This week I'm using Donna's single stem stencil to make some really quick cards for fall with minimal supplies and derwent inktense blocks. These cards are simple, but you could continue to enhance them with doodles, lines, or stamped sentiments. 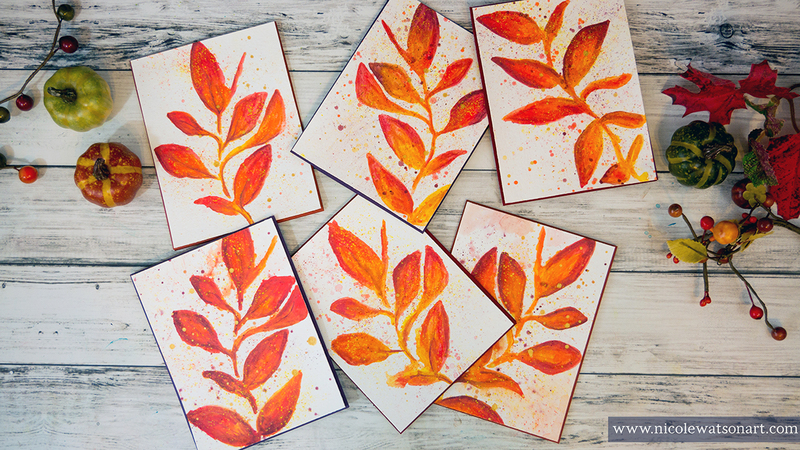 Or, instead of making cards add a fall stem to your art journal. I'd love to see what you create. Share your art journal spreads in the donna downey : Community of Artists facebook page! Or, share on Instagram, and tag Donna Downey Studios.